RIA is an international high school study abroad program that offers distinct advantages over the traditional stay-at-home model. Their comprehensive program provides individualized tutoring, extra-curricular support, and study plans nearly guaranteed to result in top-level college acceptance. 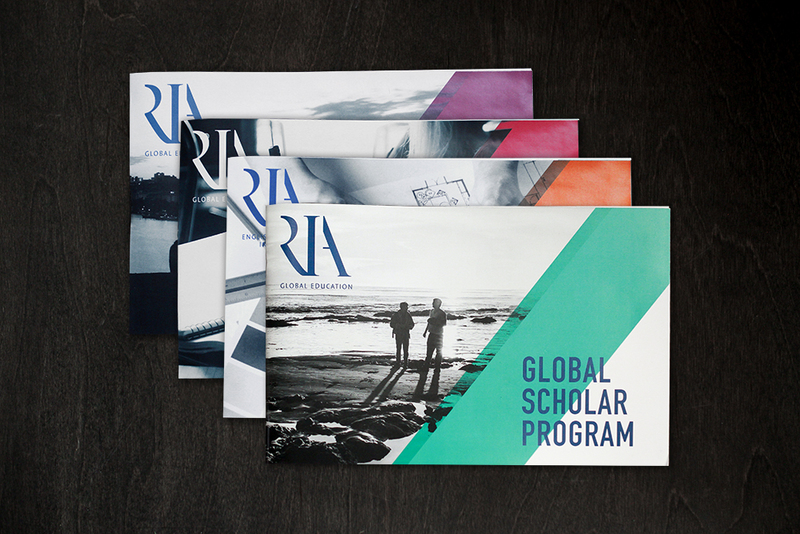 We worked with RIA to revamp their recruitment materials and develop a fresh visual vernacular that would appeal to both parents and students, both Chinese speakers and English speakers. 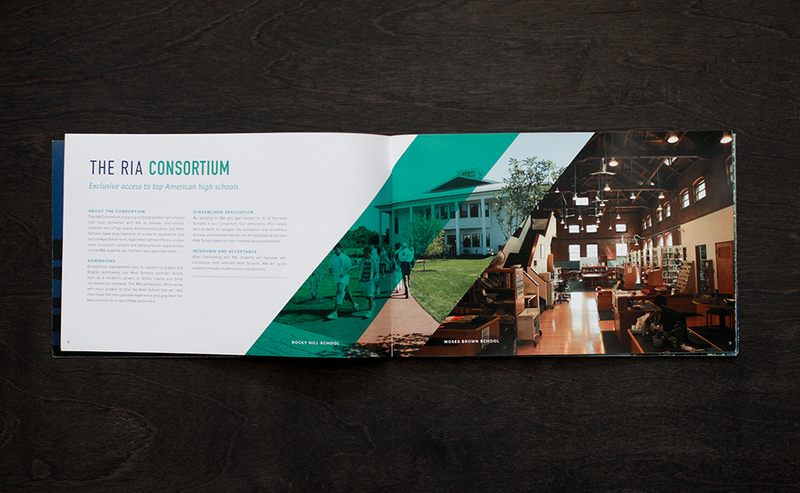 To complete the project, we created a comprehensive brand standards guide.